Caption slip reads: "Photographer: Rustan. Date: 1959-11-16. Reporter: MacMillin. Assignment: Fire rescue. 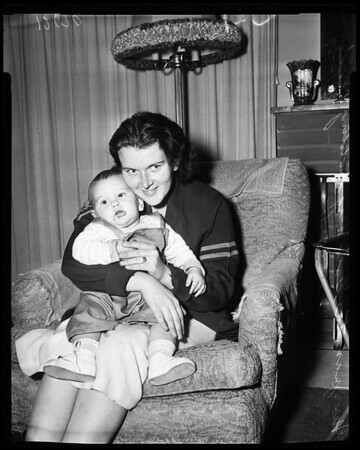 3/4/21: Mrs. Juanita Goldberg and her son, David, 10 months, rescued from flaming apartment by unknown truck driver".